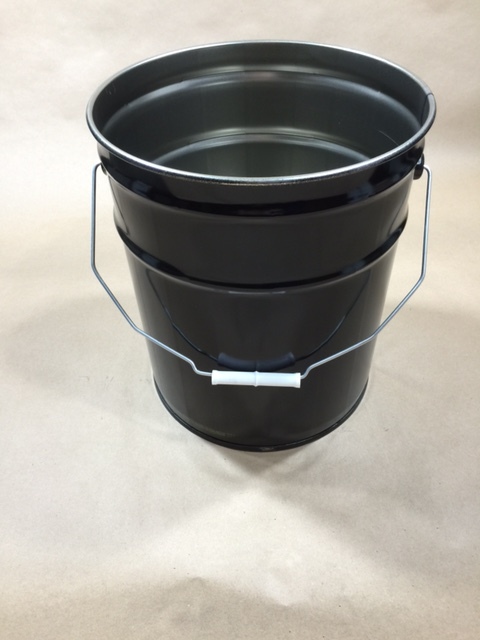 We stock open head steel pails in sizes that range from 2 gallon through 6.5 gallon. 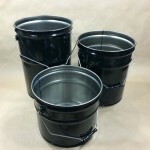 Our pails come both lined and unlined. 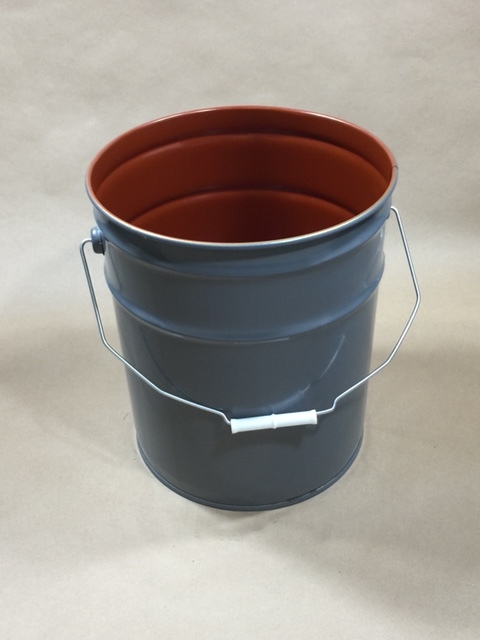 Some pails have a UN designation and some are not UN rated. 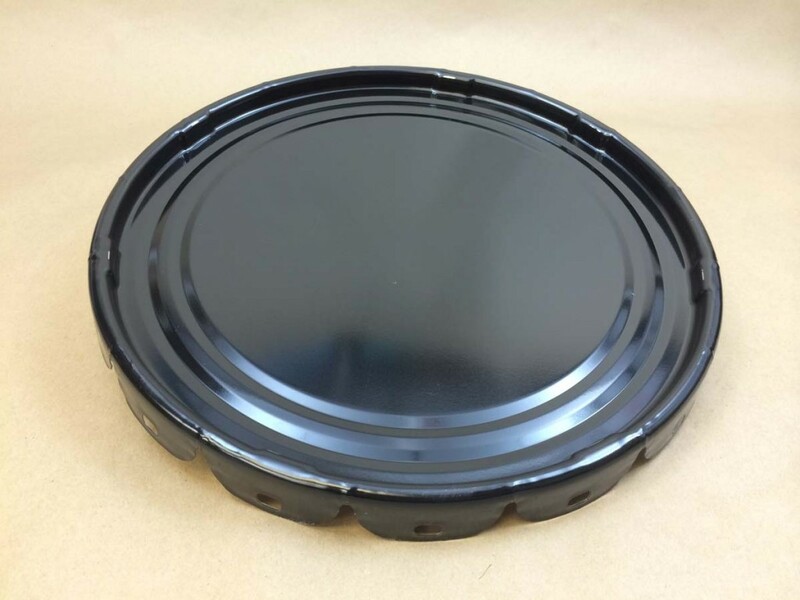 With the exception of our straight sided steel pail, Item #CSCP2-43-01, covers are sold separately. 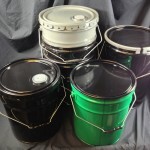 Not all customers need covers with their pails and we want to give you the option of buying the pail only, if that is what you require. In the description area of each pail you will find information on which covers may be used. 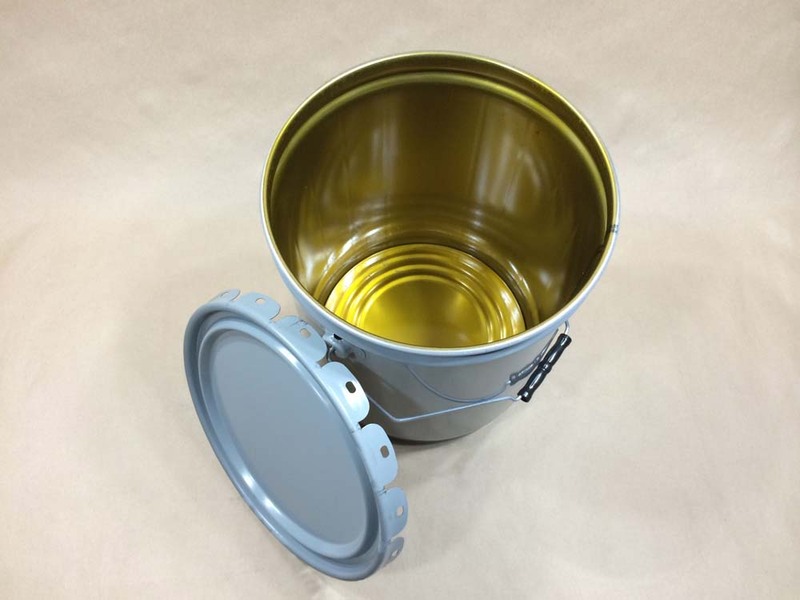 The pails with a UN designation require specific covers to keep the UN rating valid. With the pails that have no UN rating, any cover may be used. 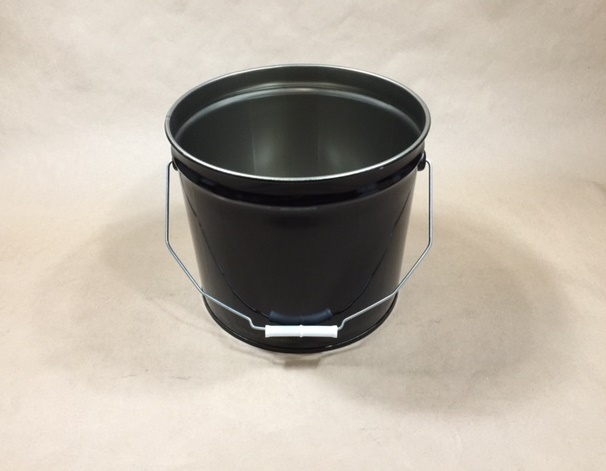 Our 24 gauge 5 gallon straight sided gray steel pail with a clear phenolic lining is the only open head pail that comes with the lug cover included.. All other pails have the covers sold separately. 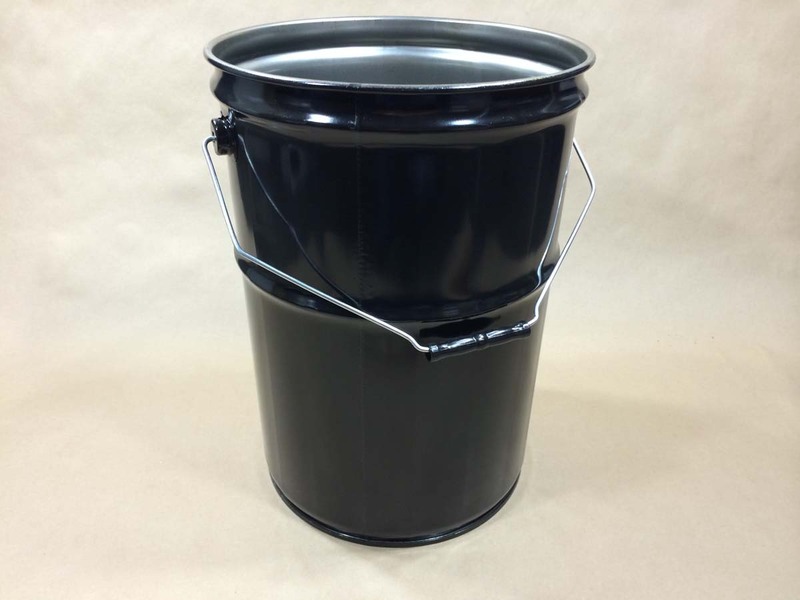 Our 28 gauge 2 gallon black steel pail has a red phenolic lining. 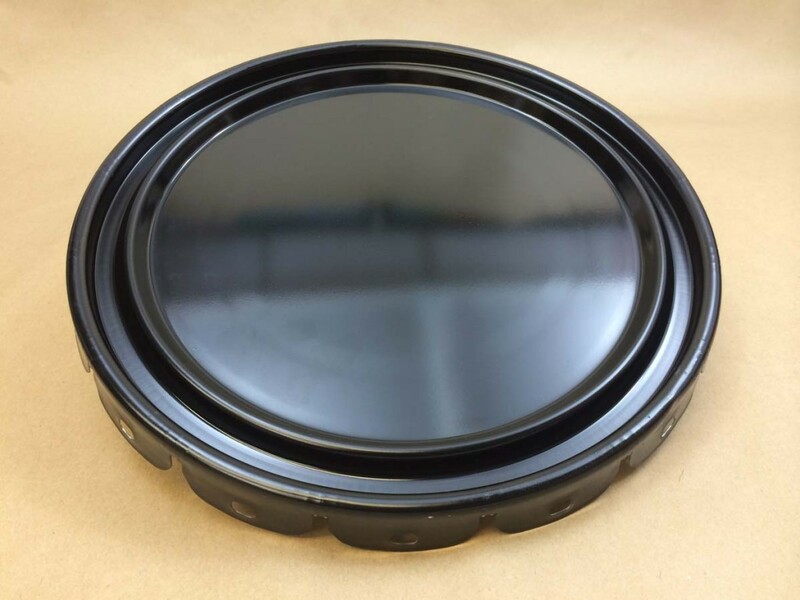 The matching lid (sold separately) also has a red phenolic lining. 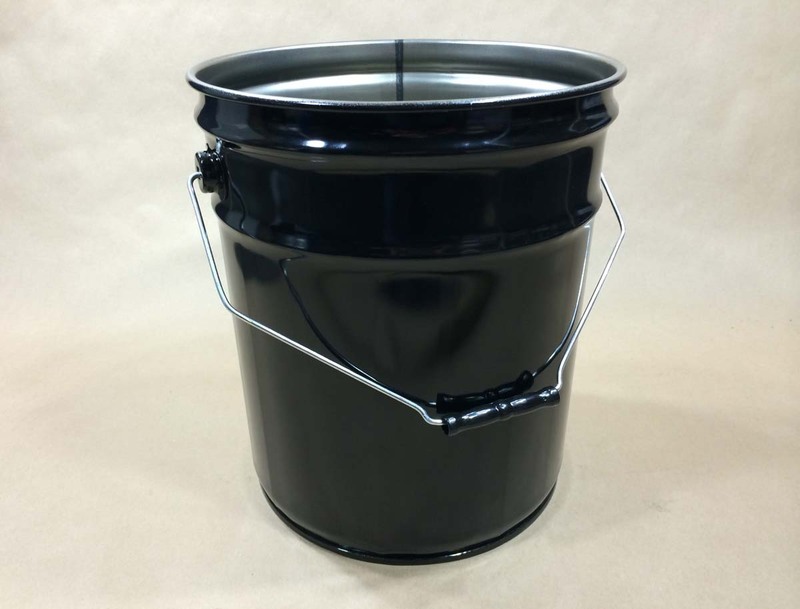 Our 3.5 gallon black steel pail is 26 gauge. It is unlined with a rust inhibitor. 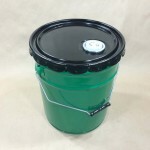 This 5 gallon steel pail is 26 gauge. It is unlined, with only a rust inhibitor. 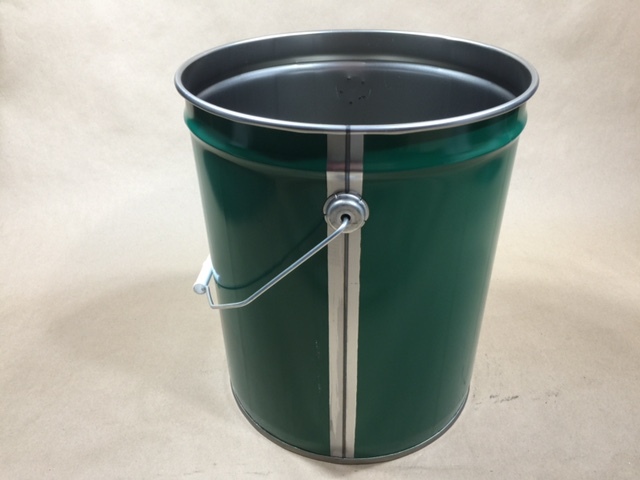 Our green steel pail is 29 gauge. It is unlined and has a rust inhibitor. 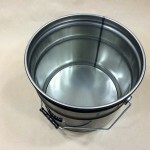 Our 5 gallon gray steel pail is 26 gauge. 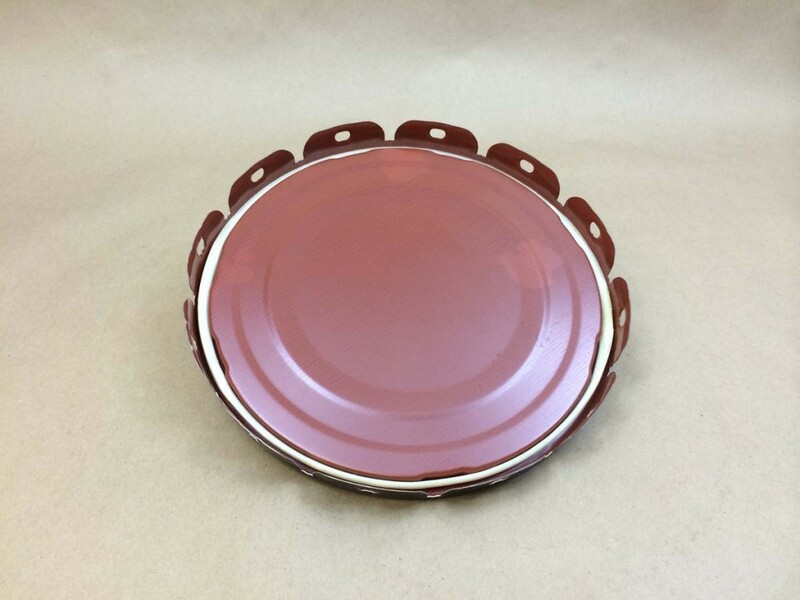 It has a red phenolic lining. 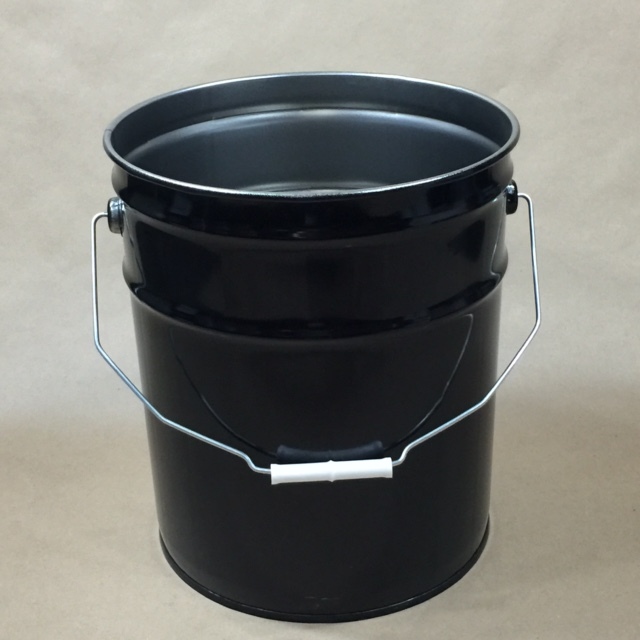 Our black 24 gauge steel pail is unlined with a rust inhibitor. 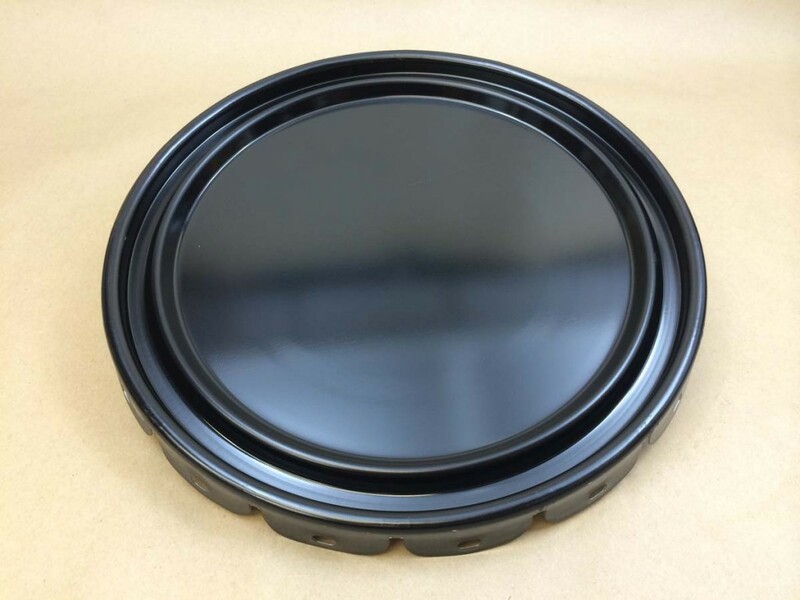 Our black 29 gauge steel pail is unlined. This pail has a rust inhibitor. 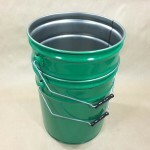 Our 6.5 gallon steel pail is 24 gauge. 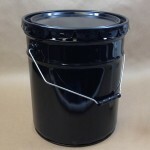 It is an unlined pail with a rust inhibitor. 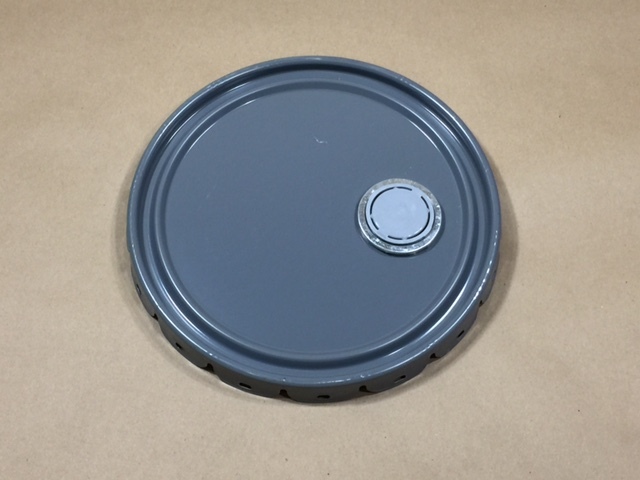 Lug covers have steel tabs that must be crimped on to the pail with a crimping tool. 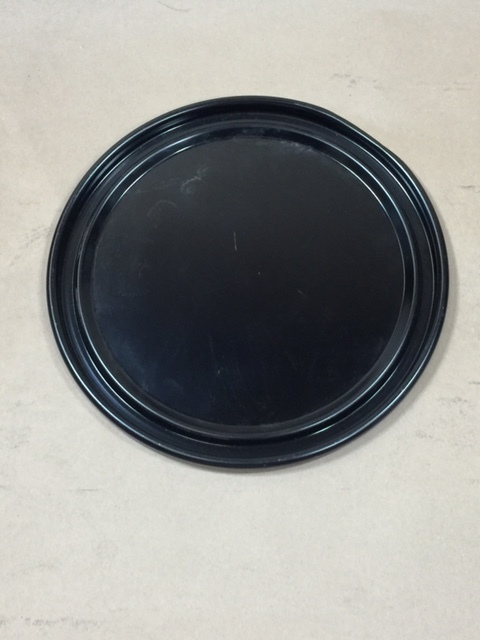 Dish covers are seated (or sit) on top of the pail. If you want to keep them attached to the pail a lever locking ring is required. 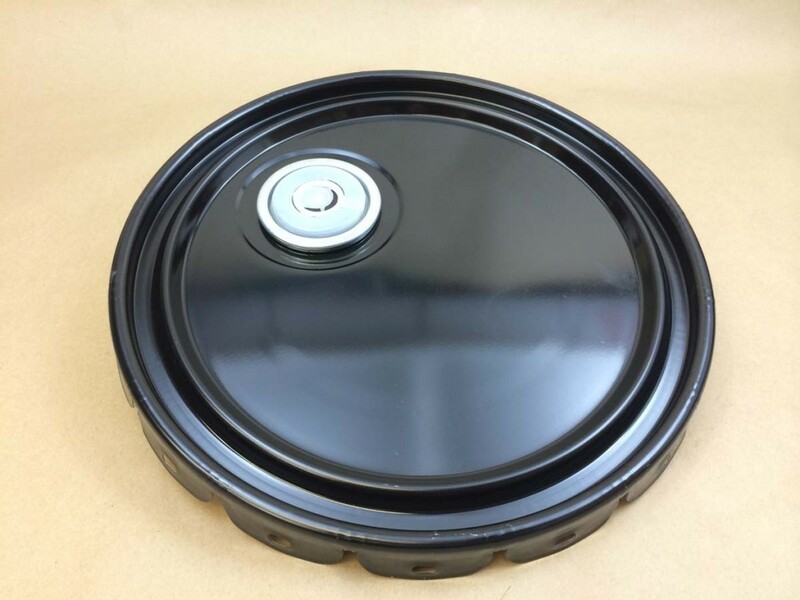 Our lever locking ring is used to keep the dish covers attached to the steel pails.